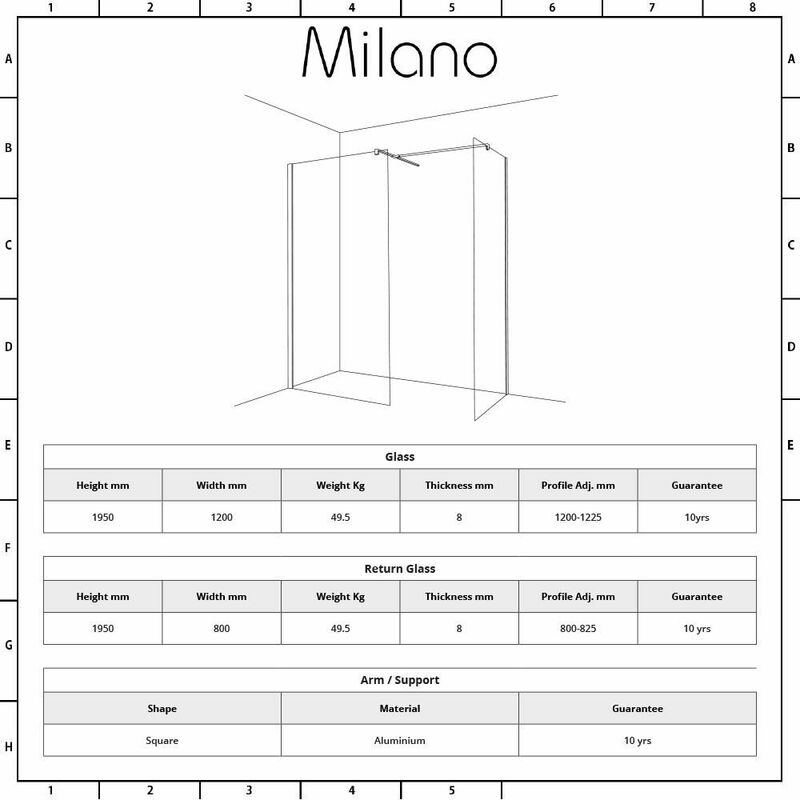 The Milano 1200x800mm wetroom shower enclosure is a great option for adding sleek, designer style to your bathroom. 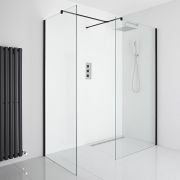 Providing easy access in and out of the shower, this wetroom enclosure features 8mm toughened safety glass with an easy clean protective coating that repels limescale. 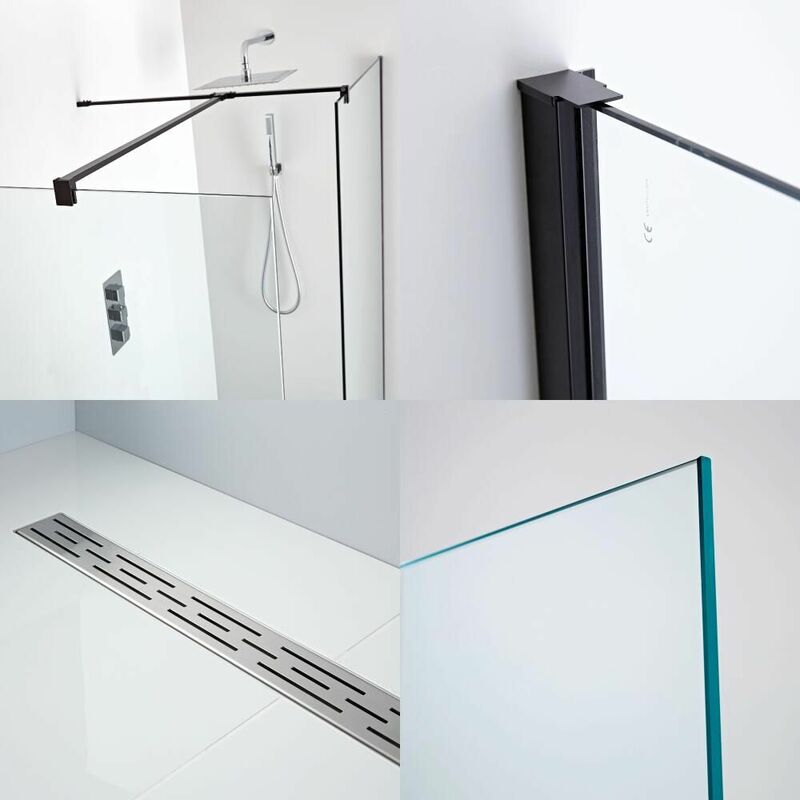 The glass panels measure 1950mm in height to catch more splashes and have a black profile for a contemporary look. 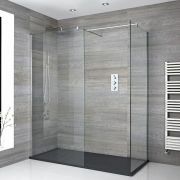 The wetroom enclosure comes with 2 support arms, a t-piece and a choice of drain - please make your selection from the drop-down menu. 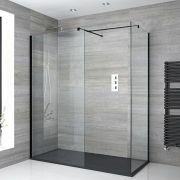 The wet room shower drains feature a modern design and a quality chrome finish that blends in easily with any bathroom decor. 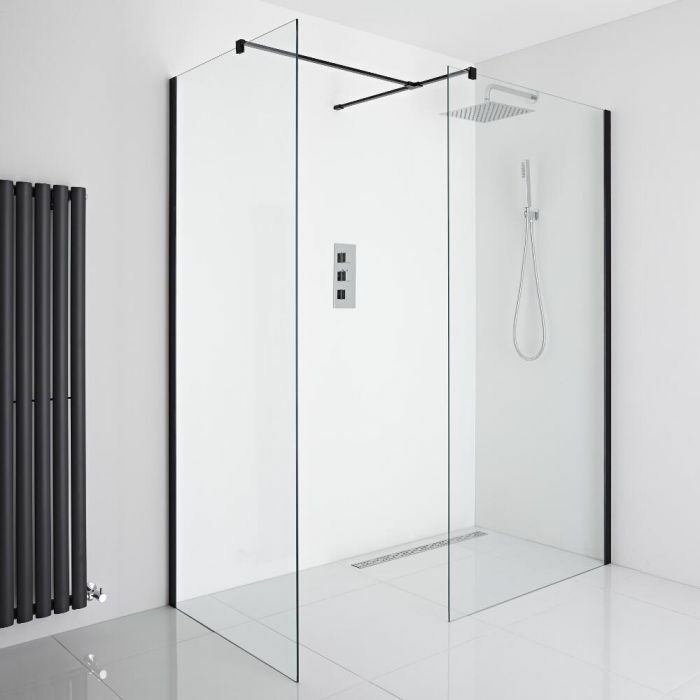 Made from 304 grade stainless steel, they all boast excellent flow rates to ensure the water drains quickly away. 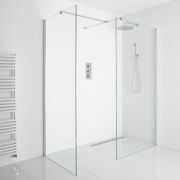 Each design creates a sleek, elegant look and adds a sense of luxury to any wet room. 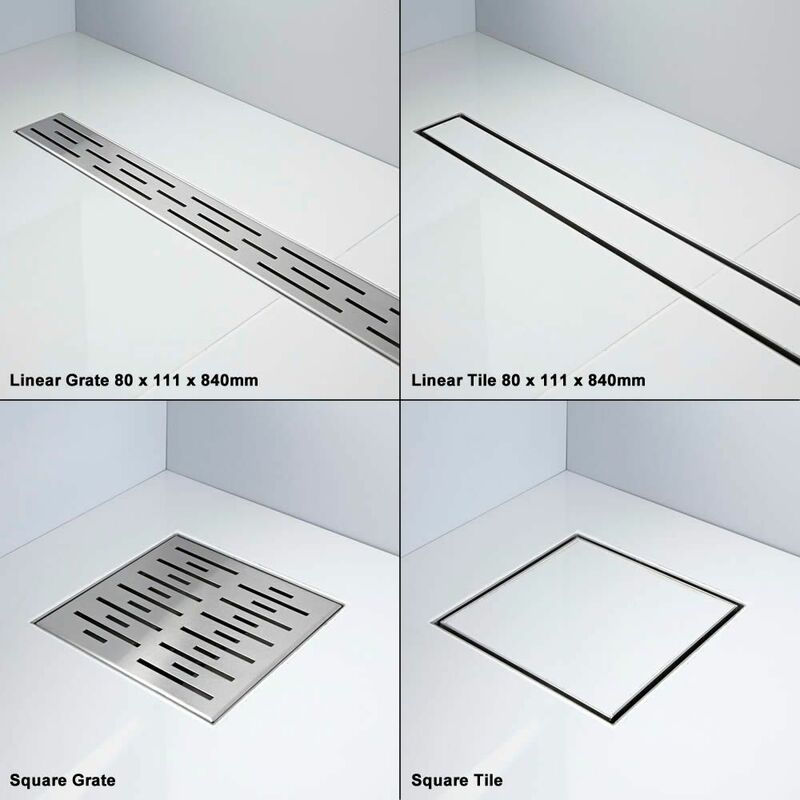 The tile drains create a seamless finish and fit discreetly into any bathroom decor.